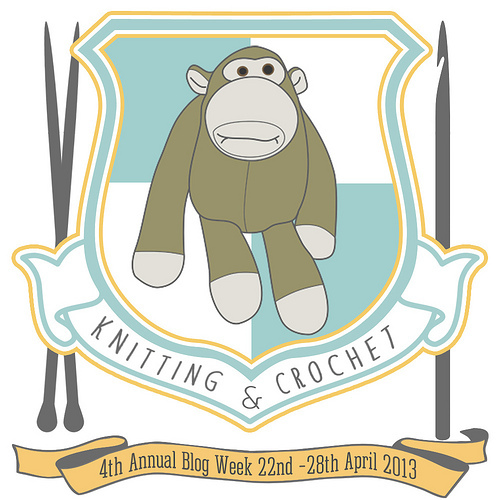 Welcome to day 3 in the Fourth Annual Knitting and Crochet Blog Week. 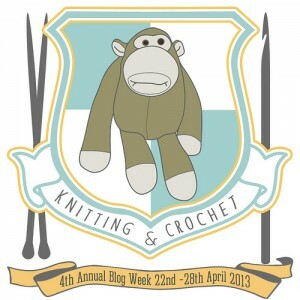 I’m knitting for house monkey – the thinking knitters. Make your own infographic […] to convey any element of your craft(s). It can be just for fun or a thoroughly researched presentation of an idea/finding. When knitting a sock, do you ever wonder how far until you are half way? (If you don’t, then bear with me). My grand plan for today was a way to calculate your progress for any sock. I’m still working on the spreadsheet for the general case, but I’m ready to present my findings for a specific case. There are surprisingly few variables in a standard top-down sock. I chose a 68 stitch sock, 12 rows of ribbing, 5 and a half inches of leg at a row gauge of 12 rows to the inch. A heel flap of 38 rows on half the stitches, a heel turn using Cookie A’s formula then gusset decreases at two stitches every other row. A total foot length of 9 inches, including a toe with 4 decreases every other round, moving to every round for the last few rows. End with a graft over 16 stitches. How many stitches are there in the sock? 14,329. (I counted slipped stitches and decreases as single stitches). Have a click through the infographic to see your progress after each stage. The second one shows when you can truly say you are a quarter, half or three quarters of the way through. Don’t forget to make the second sock. This is amazingly fun! Great job you did here! I love it! You did a fantastic job:) I knew there were a lot of stitches in a sock but I didn’t know there were that many. Ooh! Fun!! The gusset is my least favorite part of socks. It feels like it takes forever to get it back down to the original number of stitches. It does take ages! It is 14.2% of the sock. lovely infographic!!!! good job. I was not nearly as inspired. What a fun info graphic!